Home ⁄ CBD ⁄ Can CBD Products Improve Your Fitness Results? Help alleviate pain naturally with CBD hemp oil. CBD’s can help reduce inflammation, pain, anxiety, seizures and even psychosis. There is not much that this miracle cure does help. Don’t believe me… try it yourself! Safe for adults, children and even pets! All of my products are locally grown, crafted and testing in Colorado. To understand how CBD is believed to impact workouts, it’s important to recognize what CBD is. Short for cannabidiol, CBD is one of more than 100 compounds called cannabinoids contained in cannabis. Similar in structure to endocannabinoids, which the body naturally produces (and may be responsible for runner’s high), cannabinoids are most well-known for their feel-good effects, explains registered dietitian Donna Shields, co-founder of the Holistic Cannabis Academy, an online education program for health professionals interested in the medical use of cannabis. However, unlike tetrahydrocannabinol, or THC, not all of cannabis’s cannabinoids cause a psychoactive effect or “high,” Shields says. CBD counteracts these effects and may trigger multiple health benefits. The most intriguing advantage for exercisers is reduced inflammation, she says. For this reason, exercisers commonly integrate anti-inflammatorymeasures – such as eating antioxidant-containing foods and taking ice baths – into their workout routines to aid the workout process. They also try to curb achy muscles and joints through the use of non-steroidal anti-inflammatory drugs, or NSAIDs, like ibuprofen, Beyer says. He explains that he has seen a dramatic increase in the number of older adults and collegiate and professional athletes consuming CBD edibles and oils. By taking them immediately after exercise, they aim to recover quickly and effectively. Some believe that CBD reduces the body’s tendency to break down tissues and promotes muscle growth. “CBD penetrates transdermally to reduce inflammation in the injured tissues,” Beyer explains, noting that overuse of NSAIDs, especially in conjunction with exercise, can damage the kidneys. For example, in a 2017 Emergency Medical Journal studying ultramarathoners, those who took ibuprofen every four hours during a 50-mile race were about 18 percent more likely to finish the race with acute kidney damage. “I always want my patients to start with interventions that have the fewest side effects,” Beyer says. However, he also adds that a lack of research exists on the long-term effects of CBD products. “We don’t have data to know if it’s efficacious or safe over the long term,” he says. “Right now, CBD is a real quagmire for the consumer,” Shields says. For example, while many products contain CBD in its isolated form, full-spectrum varieties that contain other natural compounds from the cannabis plant are believed to be more beneficial, thanks to an “entourage effect.” Experts currently disagree as to whether CBD in edibles, tinctures, oils and salves are equally absorbed and used by the body. CBD products are also notorious for advertising inaccurate levels of CBD, says Dr. Jordan Tishler, a Harvard-trained physician, president of the Association of Cannabis Specialists and CEO of InhaleMD, a Boston-area practice specializing in cannabis therapeutics. A 2017 Journal of the American Medical Association study of 84 CBD commercial extracts found that only 31 percent of them contained the amount of CBD they advertised. 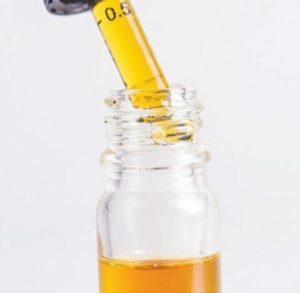 Tishler notes that most CBD studies involve dosages of roughly 1,000 milligrams per day, and its unknown if lower doses will provide any benefit apart from a placebo effect. Even more concerning, though, is that the Journal of the American Medical Association study also found that one-fifth of the products contained THC. While the exact amount of THC required to trigger psychoactive effects varies from person to person, any THC could prove problematic to anyone undergoing drug testing, either for work or athletics, Rudroff says. 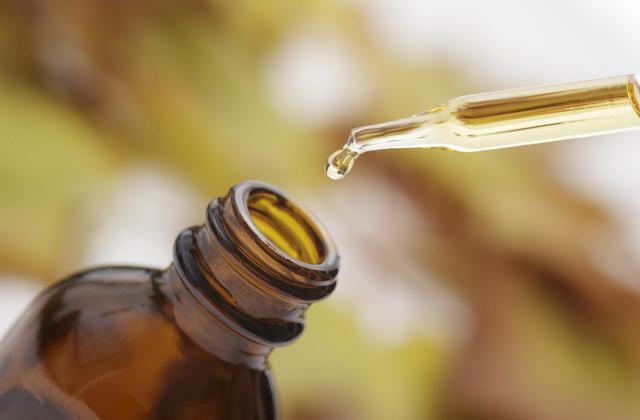 No matter what CBD product you choose, it’s also important to discuss it with your primary care physician, especially if you are taking other medications or supplements, Tishler says. While research on CBD is promising, it is still a compound with potentially wide and powerful effects in the human body – and many of these effects are still being explored.